Hi Friends! Oops... I kind of forgot to post last week which probably tells you how busy things were. 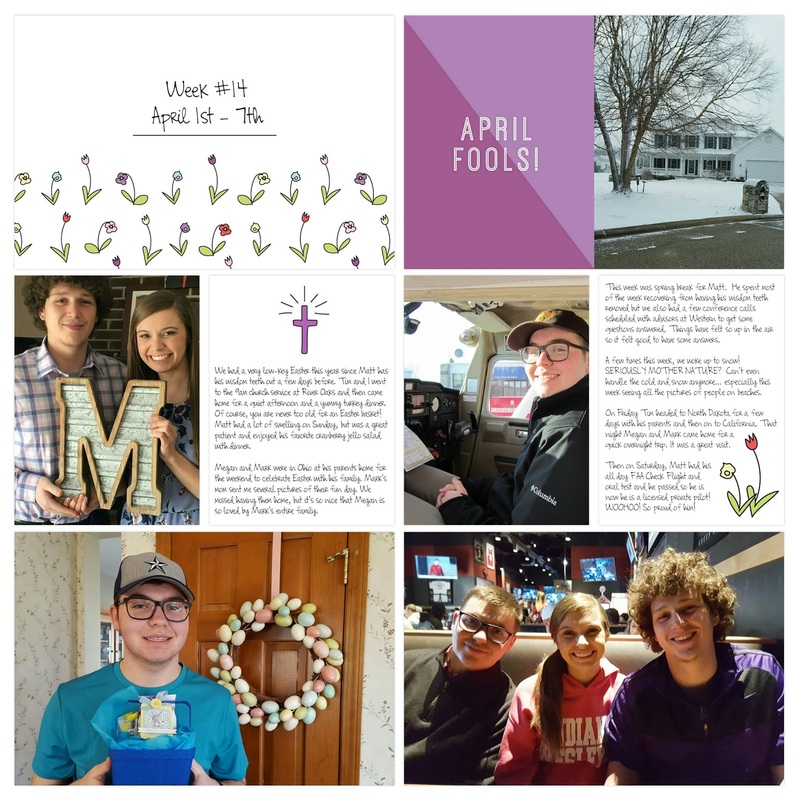 For my Project 52 page for Week #14, I used the Project 12 April Kit from the App. Super cute cards in this kit.